The first term seemed to just happen, in the flashes of flashes. It has been a period of both getting settled into a new home and experiencing a unique curriculum that has given me invaluable insights into the makings of great leaders and managers. Yet it has not been until well into the winter break that I have found the opportunity to reflect on the past few months. Before any of us realized, the first term was over, and we all dispersed to the far corners of the world; whether to visit familiar faces or discover new places. 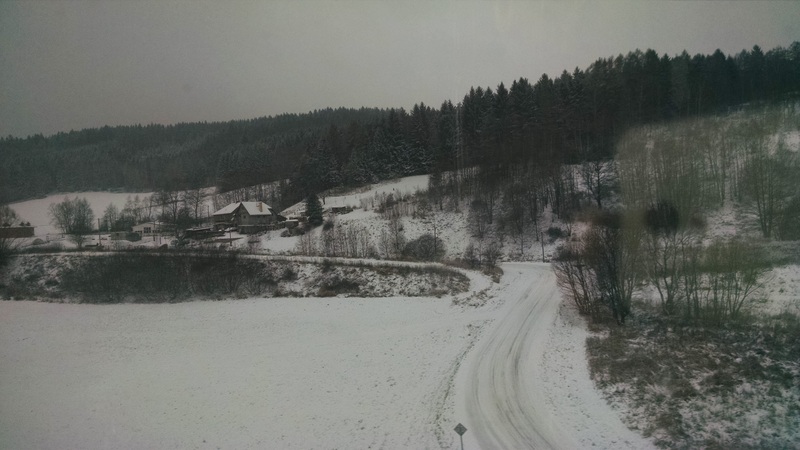 So now, chugging through the Slovakian countryside, journeying by train from Prague to Budapest, I am finally able to fully realize the extent of my learning in Michaelmas term. The classes of the MBA glue us all together. For many, it is the reason we are taking the course: to learn the fundamentals in business topics that we have not worked on before. And although there were great teachings gained in class, for me — the courses, the projects, and the funky building — all seemed to be the playground for our ideas. It is in this safe environment that we are ideally placed to experiment with leadership, teamwork, and management. The business school, a kind of personal development laboratory. One of the key insights to share about the Cambridge MBA is that it is very much a self-motivated, experiential learning opportunity. It is an experience in which you get back as much as you give. Something to this effect was mentioned in the entrance interview but it never sunk in until the courses began in full force. In such a program, there is the risk of just shrugging and letting learning opportunities fly by, only later to regret in retrospect. Fortunately, during the first project of the year, I was on a team that never let me settle into my comfort zone. During the Cambridge Venture Project (CVP) I was designated the role of project lead by my peers. The purpose of this project was less about the subject matter of the case itself, but rather team dynamics and the challenges of managing a group of high performing individuals across cultural divides. Through practical learning — facilitating differing opinions and managing towards tight timelines — I was able to try out various types of leadership tactics and understand where my strengths lie. For the purposes of learning our teams were selected to highlight the challenges of cross-cultural communication and cross-sector “ways of doing things”. Even beyond the project, my team pushed one another to discuss our ambitions and weaknesses and had open dialogue on how best to address our own personal development goals. After three intense months working together, my teammates were ultimately best placed to judge my abilities, and their feedback was immensely useful in understanding myself as a professional and a leader. Of course, aside from the business school, Cambridge has had much more to offer. 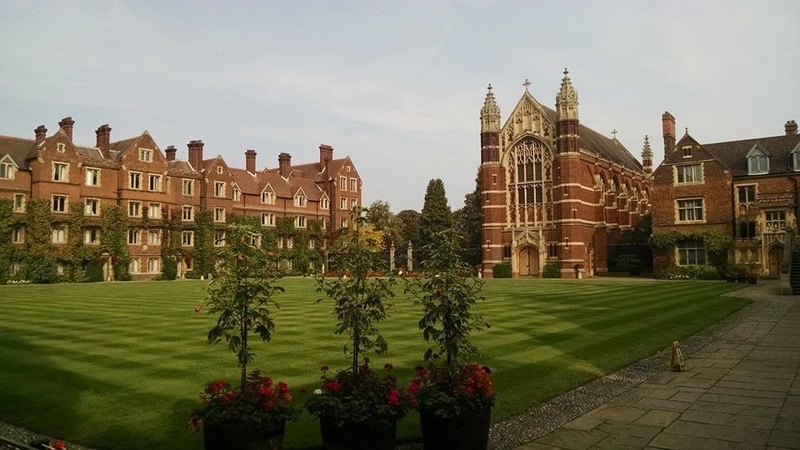 From world-class debates at the Union and rowing on the river Cam to the many black tie events; Michaelmas was the quintessential Cambridge experience. But looking back, it is the transformational learning that has really made this journey across the pond worth it. I am keen to see what new gains I will make in the months to come. Xavier is from the MBA class of 2014/15. Before coming to Cambridge, he worked as a technology consultant for the Canadian Imperial Bank of Commerce. Previously, he had also co-founded a startup serving the small business enterprise solution space. Xavier graduated from the University of Toronto in Industrial Engineering. In his spare time, he loves photography and is always looking for the next travel destination.